Shut Up Travis Kalanick Uber ! Travis will not be tomorrow’s front line to face the wrath of taxis in France. Cars with driver firms alone will face taxis perhaps armed with Kalashnikovs. 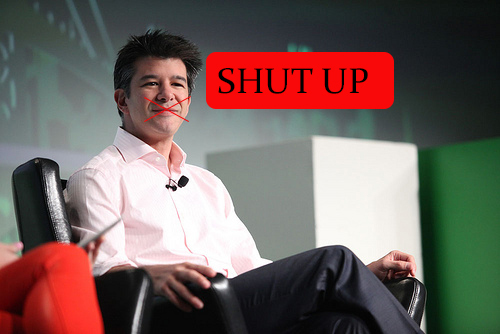 VTC companies in France are as pawns for Travis Kalanick who must think that money gives the power to say everything. Meanwhile companies VTC who do their work are struggling to survive and the serious ones won’t work tomorrow even for Uber who have send a mail : Taxi Strike in France, mobilize a lot of work!